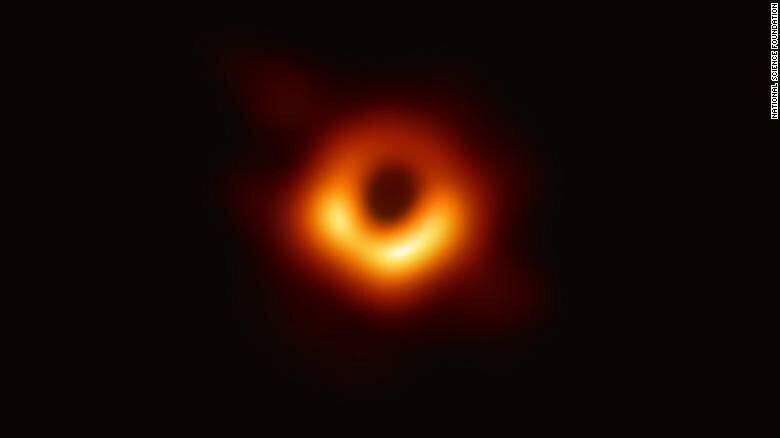 There's a phenomenal image going round the Internet, and it's called the first-ever photograph of a black hole. Well, it's not exactly a photograph, not like if you pointed your cell phone camera at the moon as I did last month. A word to the wise: it's easy for a full moon to be sooooooo bright it washes out the image to be nothing more than a white circle in a black sky, instead of what my eyes could see, which was a moon with visible craters and maria in a night sky speckled with stars. Technology needs to be managed to make useful images. And the technology managed to make that orange image of hot, bright dust and gas circling a huge black hole? Well, it was managed in a number of ways. One of the leaders of a team creating an algorithm (a set of rules) to make that image was Dr Katie Bouman, when she was a graduate student at MIT. Here's a photo of Dr Bouman that she shared on her Facebook page. The team working to make this image was the Event Horizon Telescope, and you can see their website at this link, which is very useful for scholars and students. If you're looking for a popular science discussion like the ones on Twitter at #EHTBlackHole or #EyeofSauron, you'll want to go to the BBC website for a terrific article on Dr Bouman, the team, and their project. There's even a short video of her TED Talk. Here's a link! Another good place to learn is on Dr Bouman's Facebook page at this link. Scroll down to see several posts about the project and how information from many international telescopes was used to make this image. 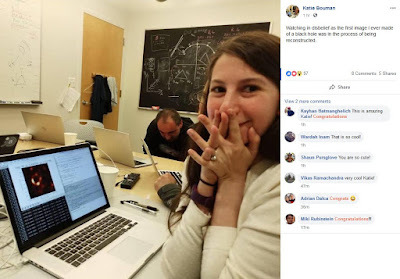 The Neuroscience News Website quotes Dr Katie Bouman as saying that photographing a black hole is "equivalent to taking an image of a grapefruit on the moon, but with a radio telescope." 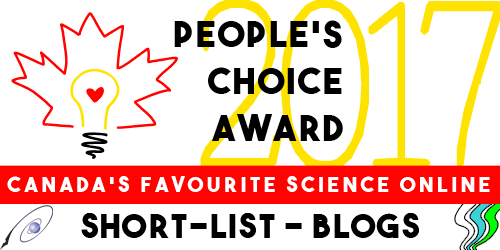 You can follow Neuroscience News on Twitter at @NeuroNewsResearch, or check out this link to read their posts on Facebook.